There are different ways to set up a home brewery system, and this includes an automated home brewery setup. But the answer to the question on how to make beer at home does not have to be complicated at all and you only need a few items that usually cost you under two hundred dollars to get started. These items all work together at different stages of how to make beer and can help you to make your own brews in the comfort of your own home and to your own tastes. A large cooking pot can be used for a brewpot, although that is somewhat risky since the pot can transfer some of its metal taste to the beer when it is being brewed which does not amount to a pure product. So the first how to make beer tip is to purchase either a stainless steel or enamel coated metal brewpot in order to ensure a purer taste to the beer. 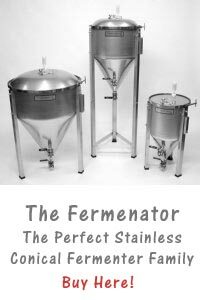 The next how to make beer tip is that you need a primary fermenter in which the beer will complete the fermenting process after being boiled in the brewpot. The primary fermenter is made specifically for the purpose and is sealed with an airlock and rubber stopper so that the air from the outside does not get into the mixture but the carbon dioxide can get out of the container. 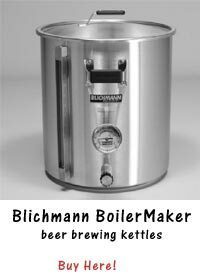 The best fermenters can be found in home brewing kits. Once the fermentation process is completed, the plastic hose is needed so that the pew can be poured from the fermenter to the bottling bucket in home brewery design. This can be a short piece of hose that is kept clean, such as a five foot hose. It should be made of food grade plastic so that it is safe to use with the beer. Keeping everything extremely clean is the best how to make beer tip we can give you. The bottling bucket is a plastic bucket with a spigot at the bottom so that the brew can be poured into the bottles. Again, this is a piece of home brewery design that should also be of food grade plastic so that it is safe to use with the beer for consumption. The bottles that the beer is poured into from the bottling bucket should be of a dark color to protect the beer over time. Glass or plastic are the preferred bottles and a dark brown color is considered to be the best to use. In the process of how to make beer it is now time for the final step and to place a cap on the bottle so you need a bottle push, a bottle capper and a stick on thermometer.